Yes SUMMER!! And I’ve actually been humming that snowman song from Frozen all day. Last year I wrote a summer bucket list of things to do. This year we wrote it together and Lexie’s contributions made me so happy. 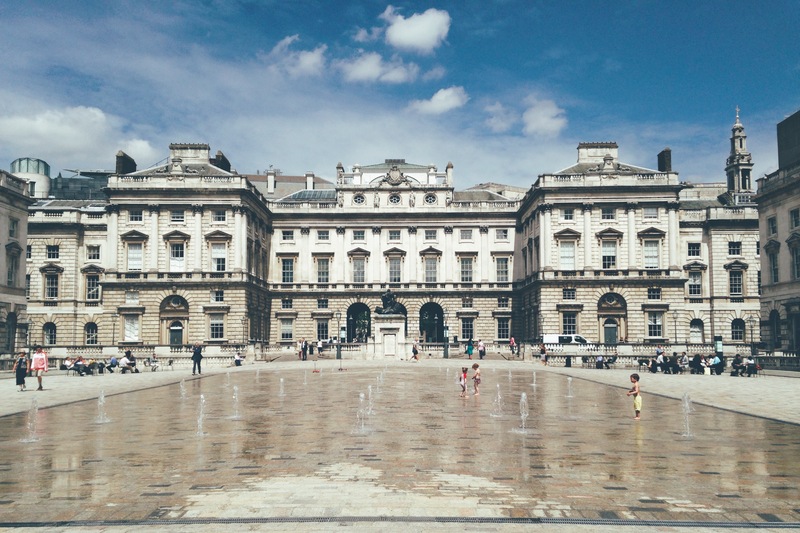 Running through fountains, having picnics, eating ice cream and going on holiday were all on her list. 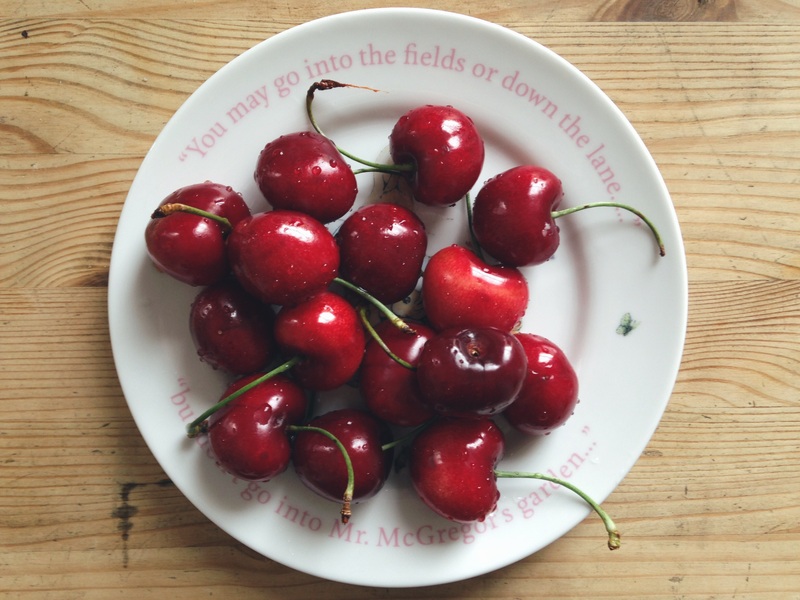 Here is a dish I make all year round but I especially love it in summer followed by nothing more than a bowl full of cherries (I’m channelling Nigel Slater there). I think it’s originally from Gwyneth Paltrow’s cook book and you can get the giant butter beans from Brindisa, Ocado or any big M&S. 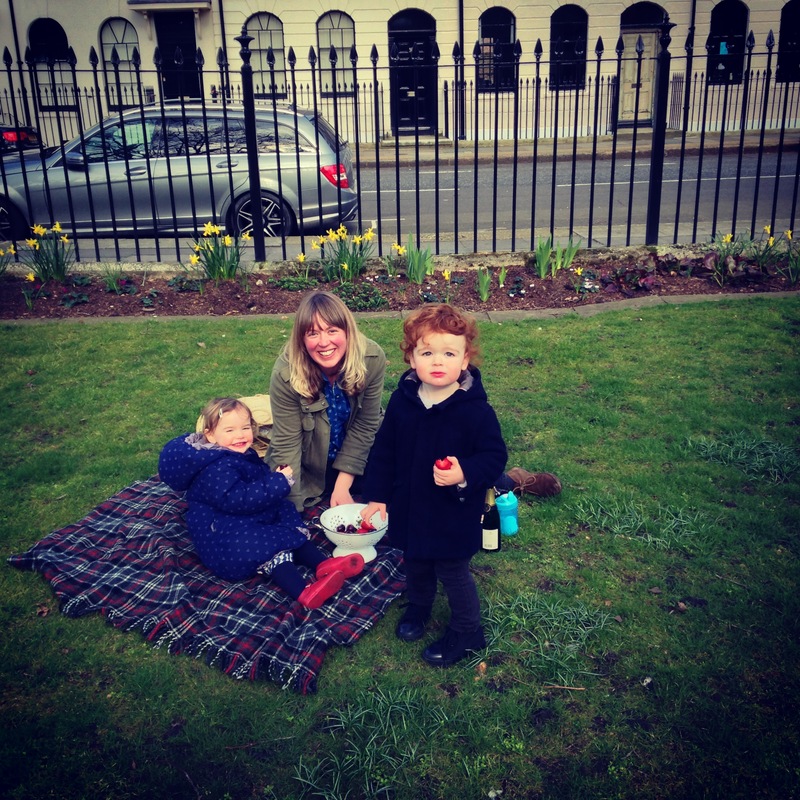 It’s especially lovely as a lunch for one with sleeping or absent children! You must save the prawn heads to make as a stock which is fantastic for making a paella style seafood rice (recipe to follow). Start by marinating the beans. Rinse and drain them and put in a bowl with a generous drizzle of olive oil, the minced garlic, salt and pepper to taste and a good squeeze of lemon. Also marinate the prawns in olive oil, salt and a squeeze of lemon. Then heat a pan so it’s very hot and chuck the prawns on. It’s good if they colour but do check and reduce the heat so they don’t burn. I seem to set off our fire alarm every time I fry prawns. They should take roughly 3 mins per side to cook. 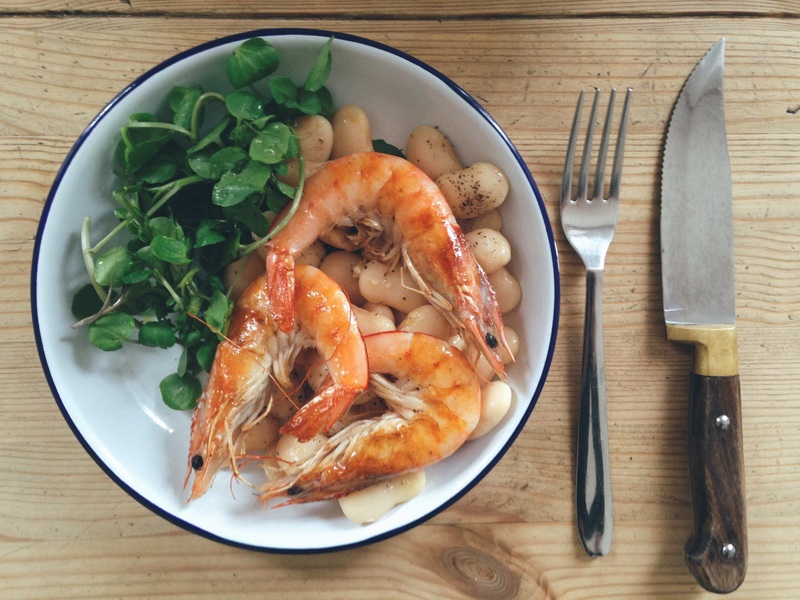 Once the prawns are done place on top of the butterbeans and serve with watercress salad and a slice of lemon. This is another mother-in-law recipe that has become one of my all time favourites. It encompasses all my favourite ingredients – salt, lemon, chilli, garlic, olive oil. 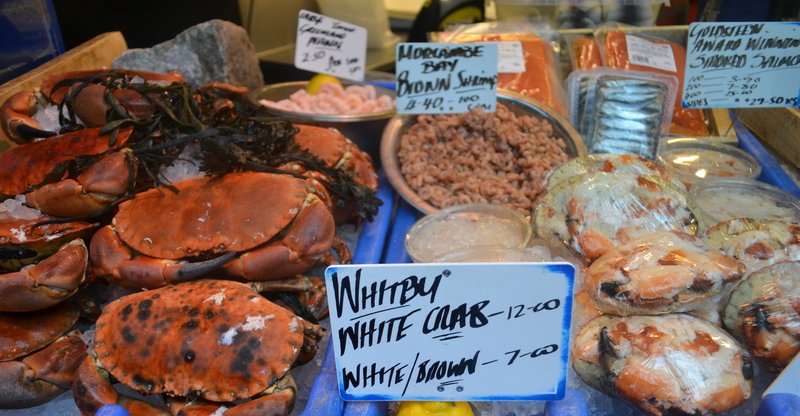 We make it regularly buying dressed crabs for ease, but nothing will beat eating this in the Scottish Highlands. The local fisherman delivers crabs caught that morning directly to my mother-in-law’s house. 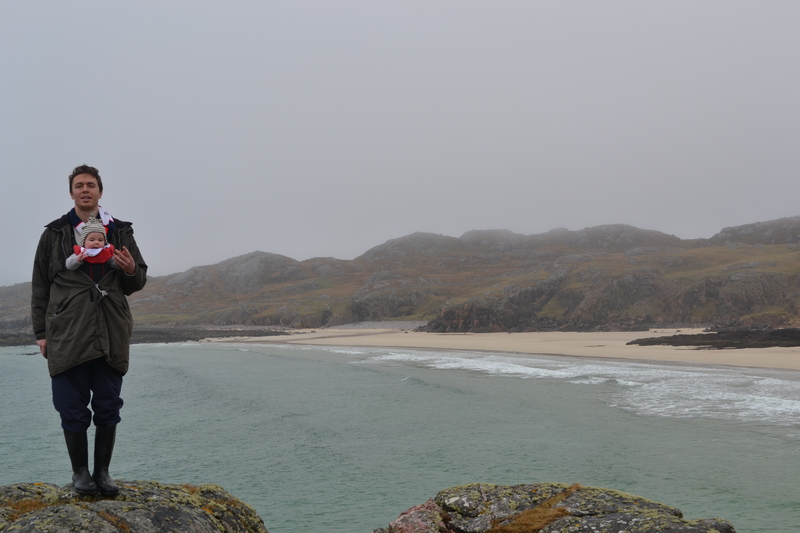 Yes that beach is in Scotland. 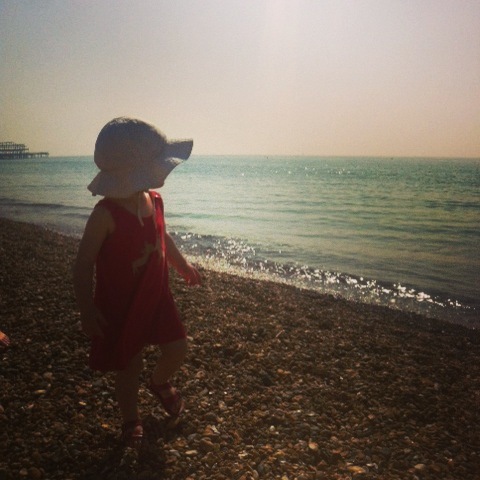 The weather is always changeable in this part of the country but last summer we were blessed with a run of glorious sunny days. 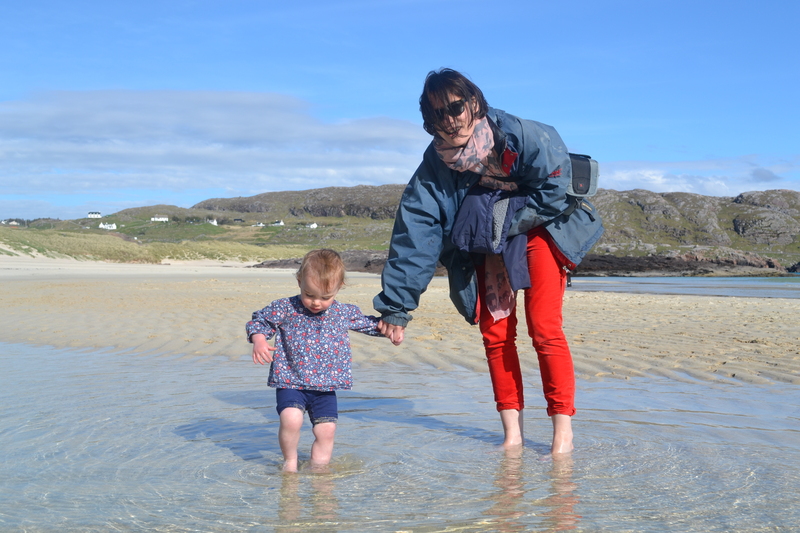 Lexie was overjoyed to be on the beach and ran headlong into the freezing Atlantic sea completely nonplussed. 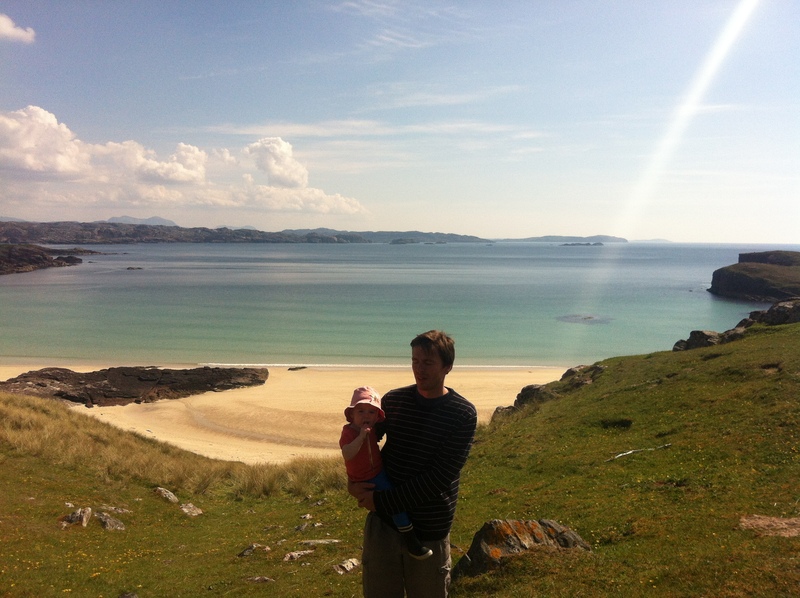 Usually the weather is more like the picture below taken the year before. 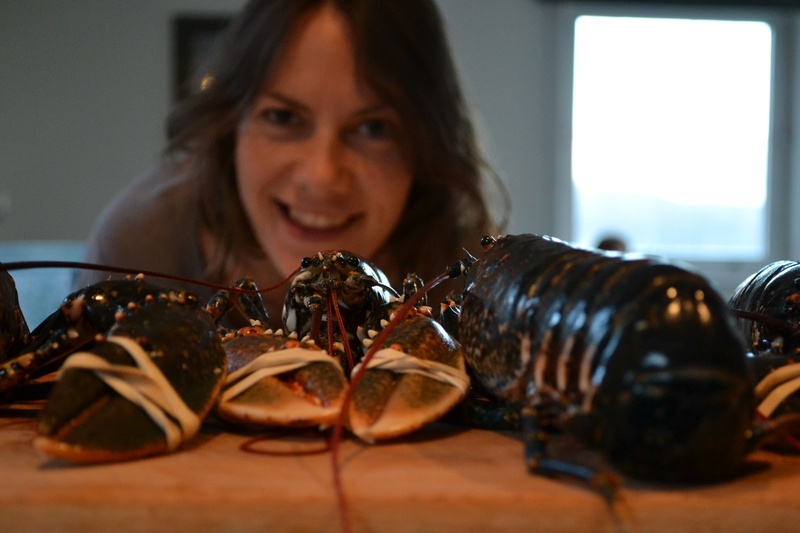 I couldn’t find a picture of the crabs but here is one of me with a lobster that was also part of our special delivery. Albert is Leo’s main competitor. 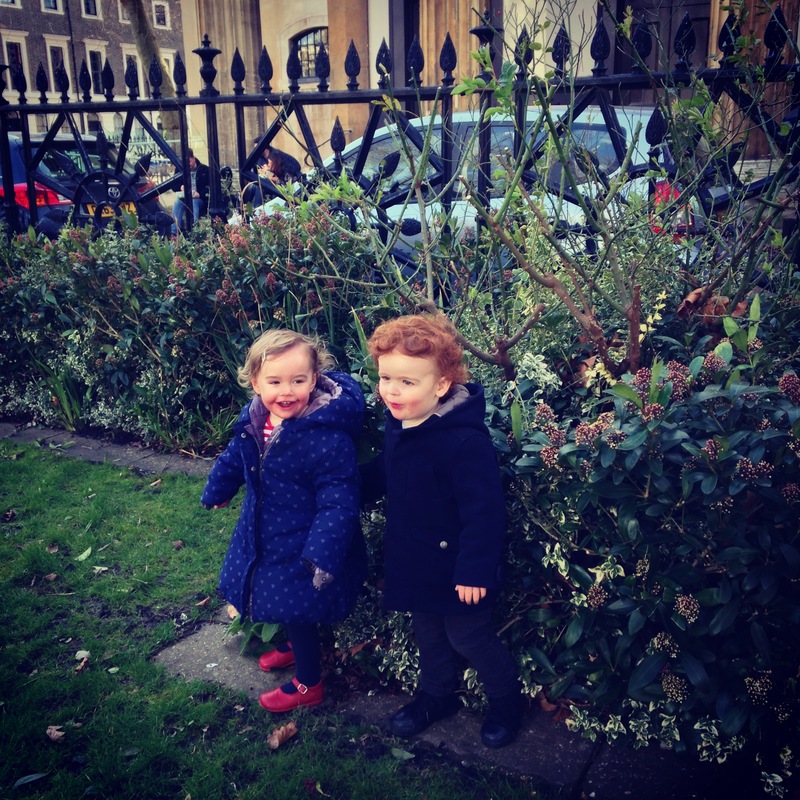 Him and Lexie have been friends since they were 6 months old as we lived over the road from each other. 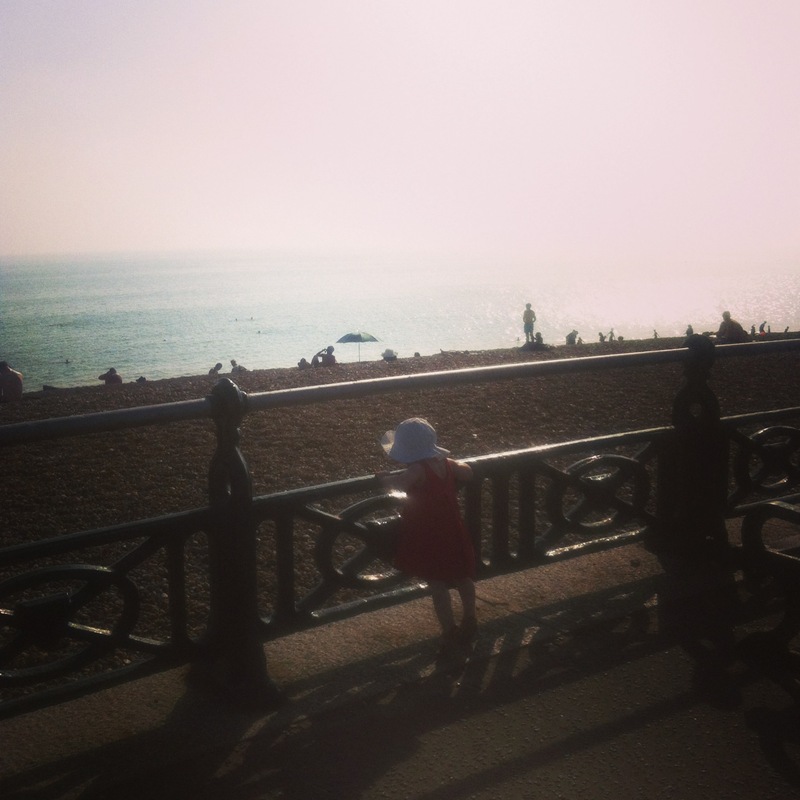 Caroline and I found the local area difficult and we both ended up moving after a year, in their case to Brighton by the sea. 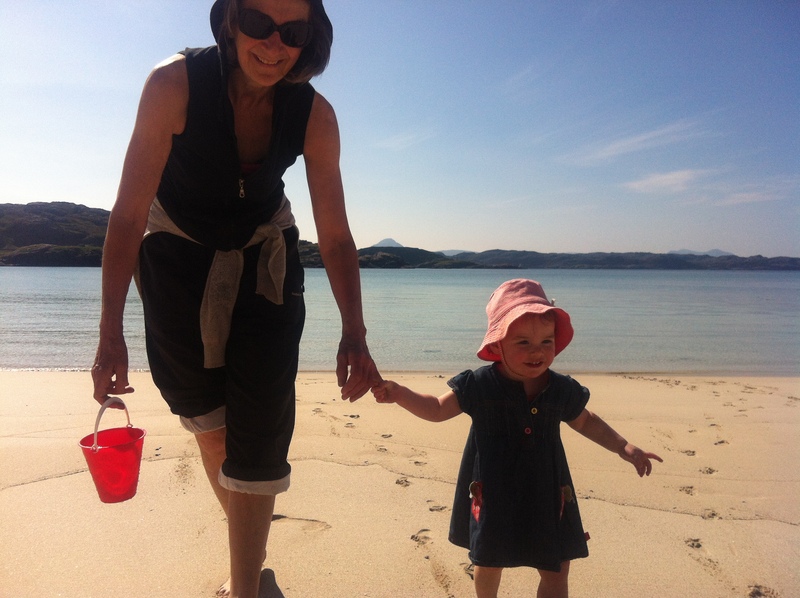 It is such a shame we don’t get to meet up as much anymore – I mean just look at these two!! 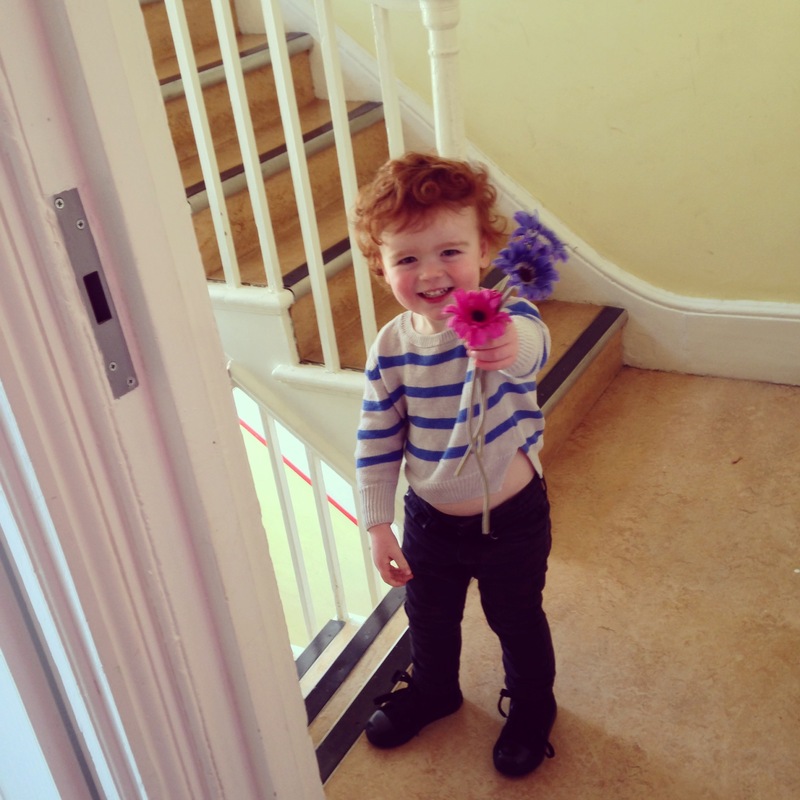 I’m already picturing my grandchildren with Albert’s amazing hair. We all ate linguine but the kids had peas and parmesan instead of crab. 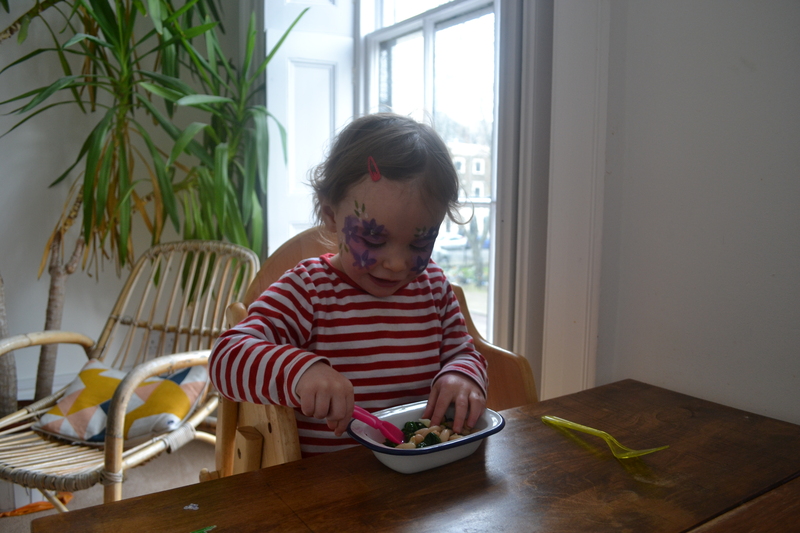 I’m not sure when I’ll give Lexie crab – can two year olds eat crab? In any case ours had lots of chilli so wasn’t kiddie appropriate. The crab was yummy as always but I’ll probably aim for something even easier next time we are all together. The kids were way too excited to eat and after the various wee stops/spillage wipe ups etc our pasta was pretty cold. But it was fine because we had bubbles! And strawberries and cherries in garden after lunch which were very popular and made up for the lack of lunch eating. 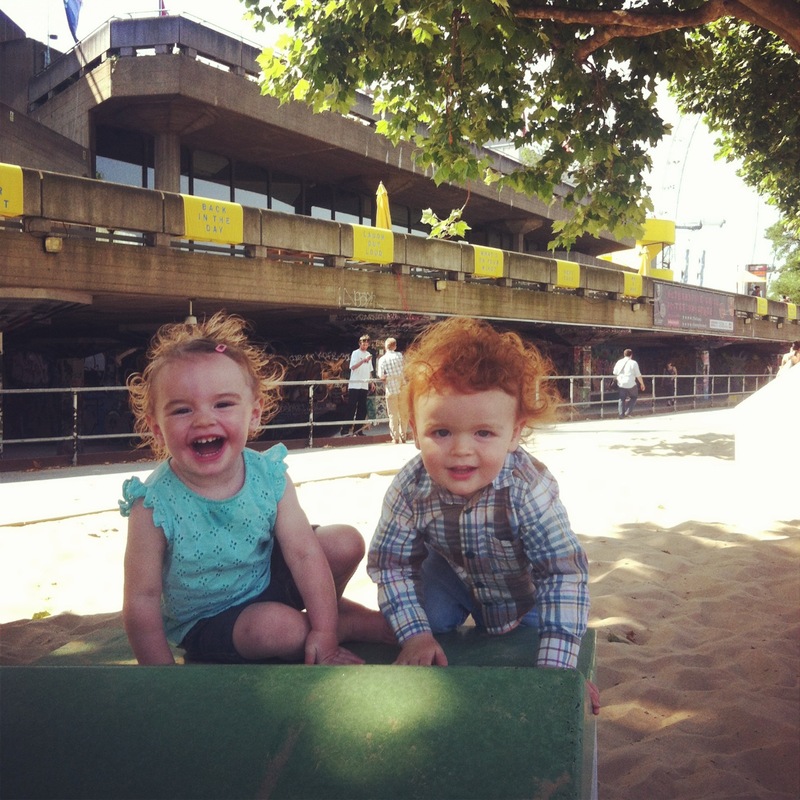 Come back and see us soon Albert and Caroline! 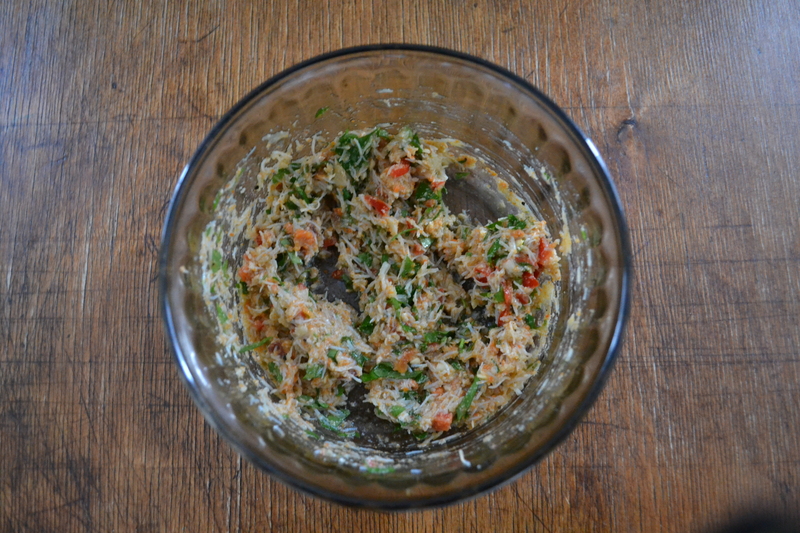 Start by making the crab mixture. Scoop the prepared white and brown crabmeat into a bowl adding a generous amount of olive oil. Add the chopped parsley, crushed garlic and finely sliced chilli – I wear rubber gloves and use scissors to chop chillis and avoid getting any on my hands (I wear contacts and also worry about touching Lexie with chilli fingers). Mix it all together with a spoon and season with salt and pepper to taste. Start cooking the linguine and just before it’s ready squeeze some lemon into the crab mixture. Drain the pasta reserving a tiny amount of the cooking water. Mix the crab into the pasta so that the linguine strands are all nicely coated. Serve with extra olive oil for drizzling and more lemon slices. We always seem to add loads of extra salt and lemon. Serve quickly because it cools down fast but, having eaten it cold this very day, I can say it’s still tasty cold! Not optimal but still good! 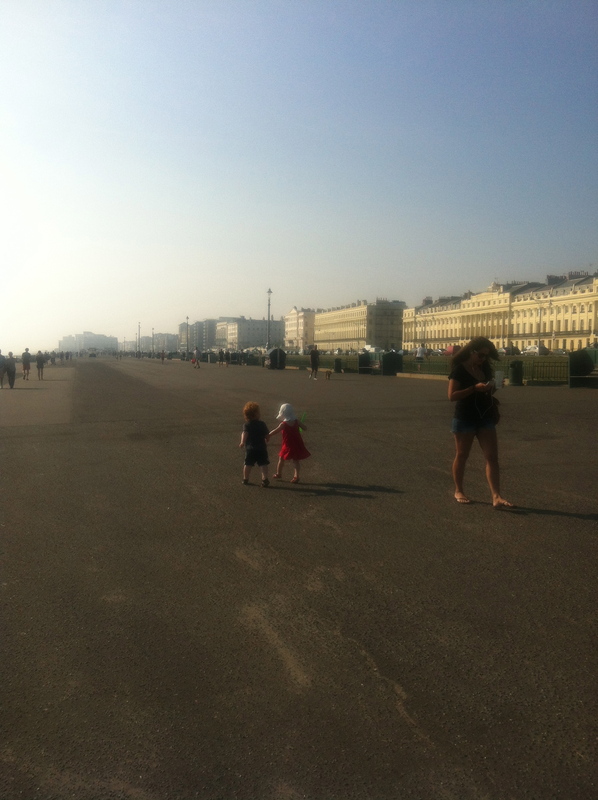 I love the two pictures below of Lexie in Brighton last year on a trip to see Albert. 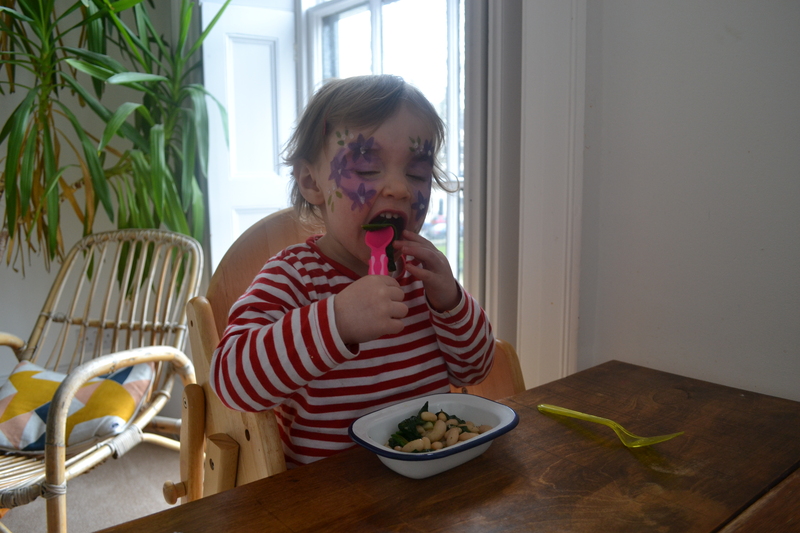 Lexie is a good eater so it’s always funny when she doesn’t like something… “Don’t like beans mummy.” I find this one quite hard to understand because she loves lentils and chickpeas! 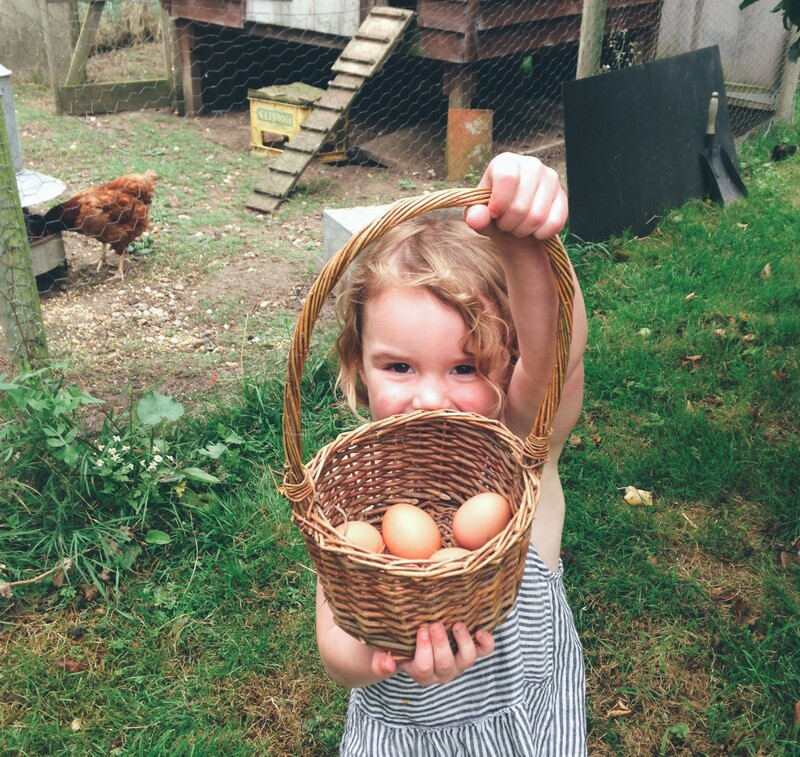 Luckily she sometimes forgets what beans are so as long as I call them something else (‘baby chickpeas’) she’ll give them a go. Especially if she has flowers painted on her face! 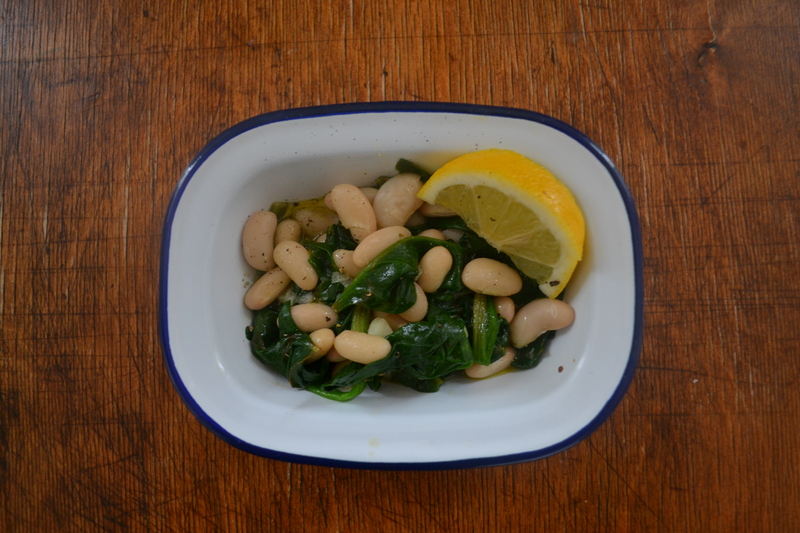 My favourite quick staple meal is beans with lots of olive oil, crushed garlic, lemon and salt. The original recipe is from Gwyneth Paltrow’s first cookbook (not the macrobiotic one!) using giant butterbeans but I’ve made it many many times with chickpeas and cannellini beans. Lexie really likes it too despite it’s garlickyness (I leave out the salt for her). It’s very easy to adapt the recipe and make a warm version more suited to winter – see variations below. I love this recipe hot or cold – the hot version is delicious soothing comfort food, the cold version just lemony garlicky heaven. Both ways take less than 5 mins to prepare, are incredibly cheap and leave you feeling nourished as beans are so good for you. Open, drain and rinse the beans. 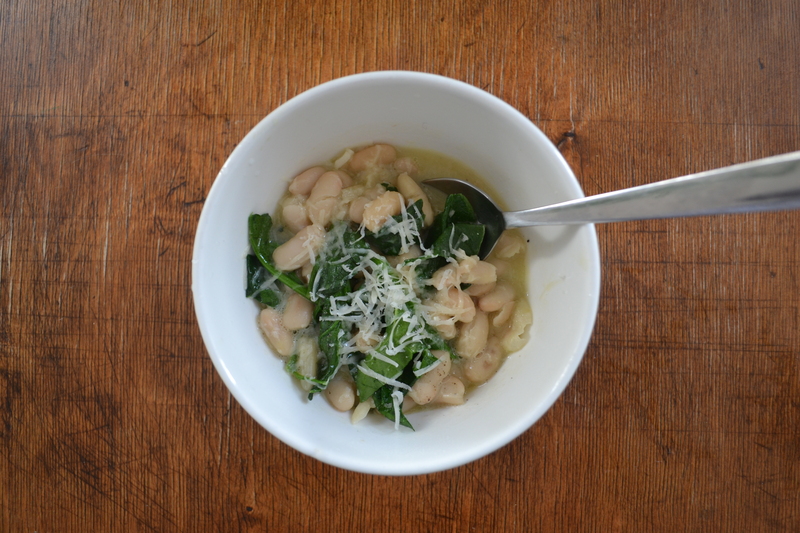 Crush the garlic and add to the beans with a generous drizzle of olive oil. If using basil or parsley add them now with the spring onion. Add a good squeeze of lemon juice, season to taste and serve with watercress/salad. 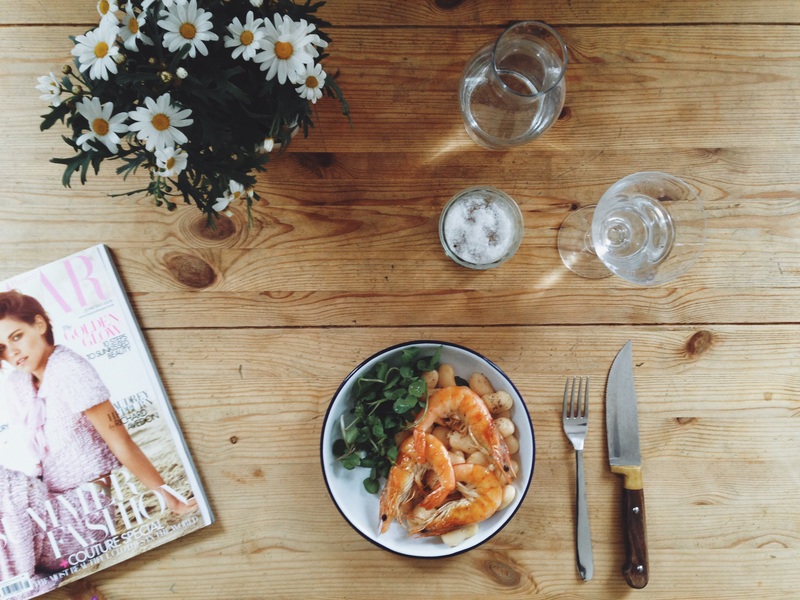 The Gwynnie recipe adds griddled prawns which I’ve tried and is nice. She also marinates the beans for at least an hour in the fridge which I don’t think is necessary. When using chickpeas I usually add courgette carpaccio – thin shavings or grated courgette – with the same dressing. This is especially nice with yellow courgettes. With cannellini beans I think good quality tinned tuna is a lovely addition. To do a warm version get a pan and gently heat the garlic in olive oil (don’t let it brown). Add the drained and rinsed beans, season then squeeze some lemon juice on the beans and add a little water or light chicken stock. If you have homemade chicken stock definitely use a little as it transports this simple dish into something heavenly. If you have any herbs like thyme, a bay leaf add them (but not rosemary – too pungent) as they will give lots of flavour. Smash the beans into the oil using a fork or wooden spoon. The idea is not to make a puree, rather to have some mushed beans and lots of whole ones. If you want to make it more soupy add more stock. Add chopped parsley or basil (try to use herbs if doing this version). Serve with some nice fresh bread, olive oil to drizzle and a little grated parmesan if you want. If I’m doing this with chickpeas I usually fry a bit of bacon with the garlic and definitely use a bit of chicken stock. A little chorizo added at the end is nice too. The spinach version above is nice with chickpeas too. (NOTE: If using dried beans, before trying the recipes above, make sure you soak them overnight, drain and rinse them in the morning – dried beans are toxic if you don’t do this!! Then put them in a pan and cook for a good 40 minutes or so using fresh water (not the water they soaked in). If making the warm version the water from the cooked beans is wonderful to use as the stock. The River Cafe recipe for smashed beans recommends cooking the beans with a garlic clove and some sage leaves for 45 minutes then draining, removing the sage but not the garlic, before adding the olive oil and smashing the beans.) 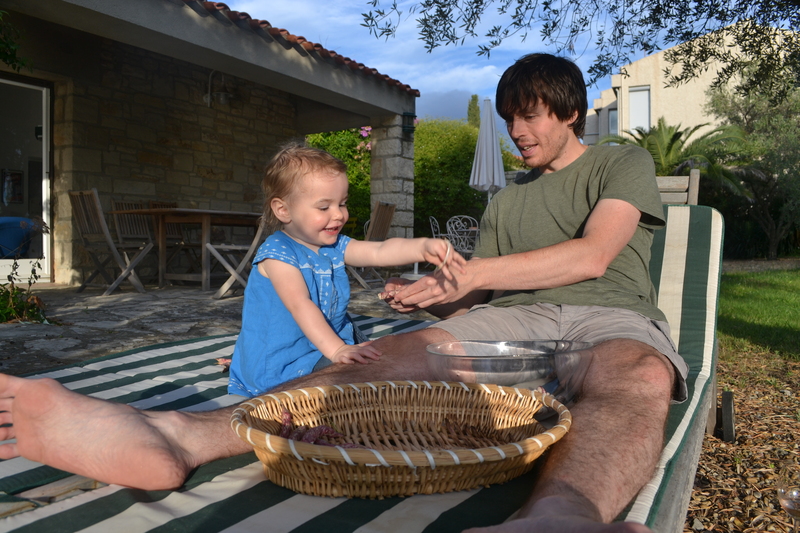 Here is a pic of Lexie happily shelling borlotti beans with Lewis in France this past summer. I’m not brilliant at frying meat or fish. I’m ok with anything that goes in the oven but on the hob I tend mess things up. 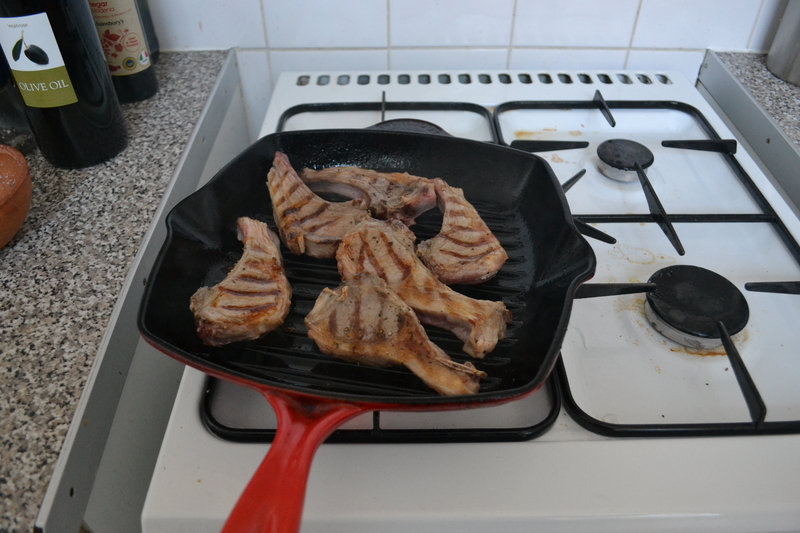 My mum brought me some lamb chops and this is how she cooks them! Lexie loves chops especially when she’s teething (something to gnaw on!). We are having them with butternut squash and feta salad but we usually have mash or chips with salad. They also go well with puy lentil, goats cheese and beetroot salad. 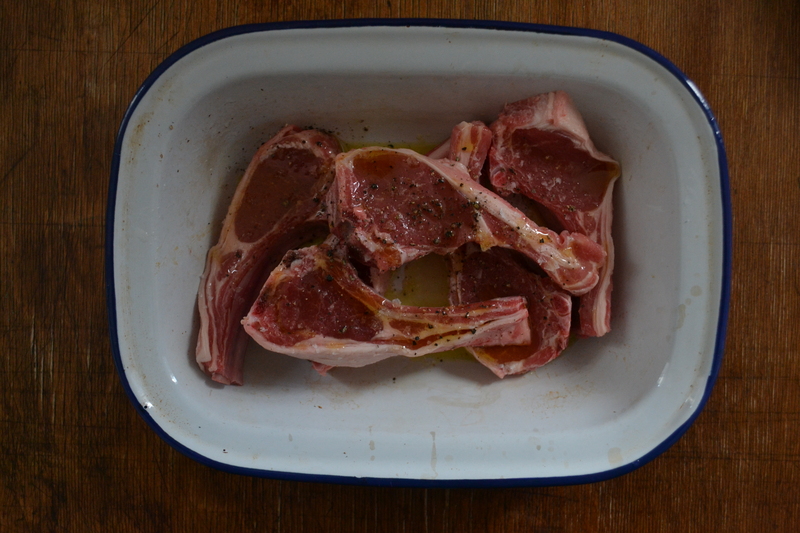 Put the chops in a bowl add some olive oil, salt and pepper covering both sides. Get your griddle pan (or regular pan but the heavier the bottom the better) and heat it up so it’s really hot – smoking hot. Add the chops and let them sizzle away. After a couple of minutes check the underside, if it’s nice and brown turn the chops over. Blast for another couple of minutes, the heat should still be high. 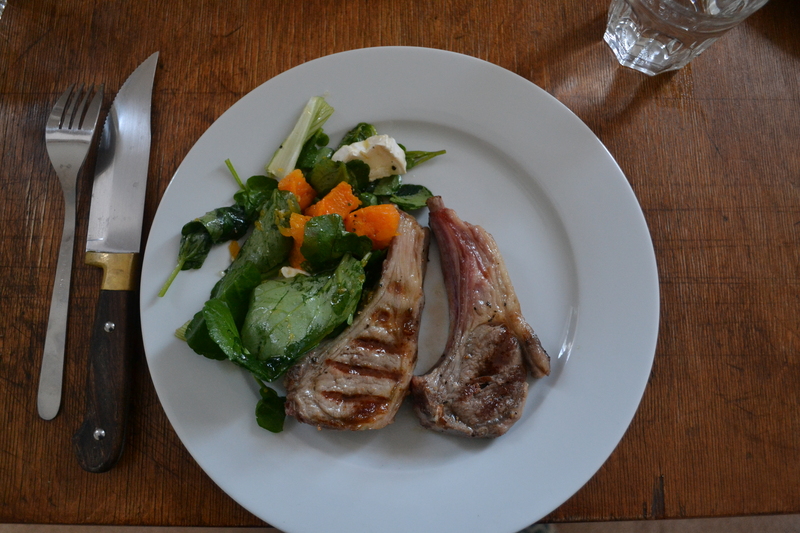 I like my chops rare and very pink so, depending on size of chops, they only need 2 – 3 minutes each side. 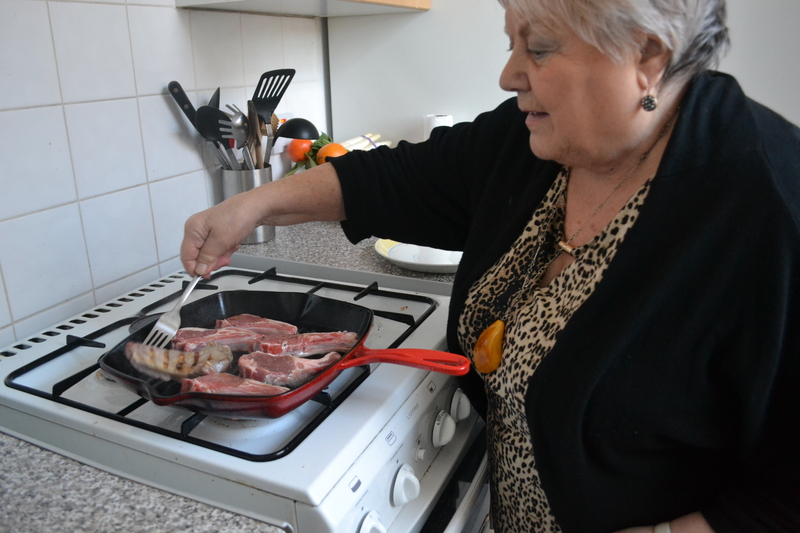 My mum overcooks her chops because she likes the fat to be all crispy – she does 4-5 minutes each side and more if they are fatties. Once done pop on a warm plate and leave for a few minutes to rest before serving.